Old EB shields just after NY 49 begins, making it worth my while to backtrack the mile and a half to the closed bridge, and then just ten minutes later it all unravels with a new, ugly shield. The font error (too narrow) would be forgiven if someone squeezes a "NEW YORK" in the extra blue space on top. 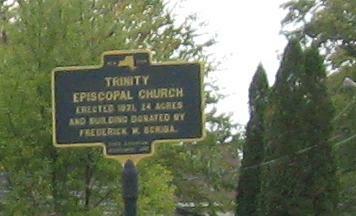 Two of the older historical signs along the way from Fulton to Rome. 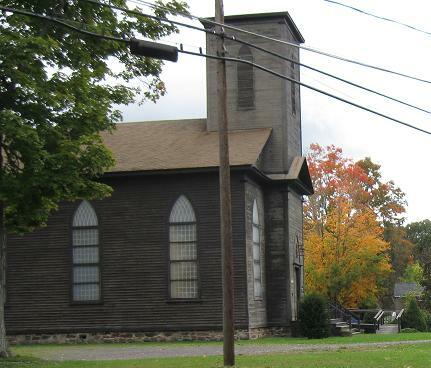 I thought the church warranted inclusion with the historical sign. 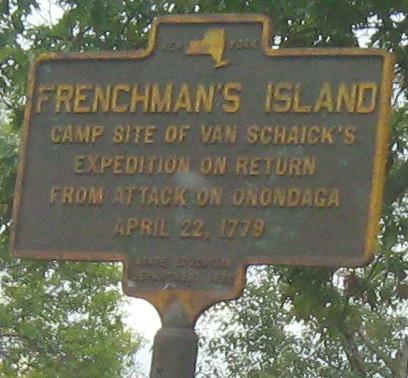 The island is in Oneida Lake, or at least the sign is next to the lake. NY 49 leaves the NY 365 multiplex here for a brief three-way with... of all routes... 69. 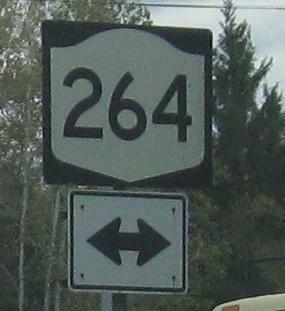 EB losing the NY 365 duplex; Griffiss used to be an "A.F.B." Railroad St. in Rome, looking south from old NY 49, Dominick St. The end of short NY 825 EB, after flying over NY 365. 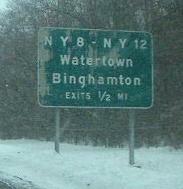 EB at the end of NY 49, which happens in the first photo. 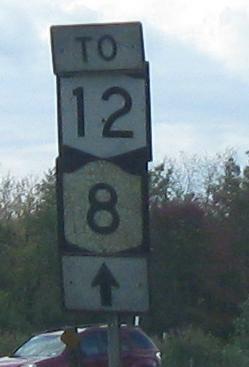 After that, the roadway becomes I-790/NY 5 when those routes merge in on the far side of the intersection, although the milemarkers start prematurely as seen in the last photo. 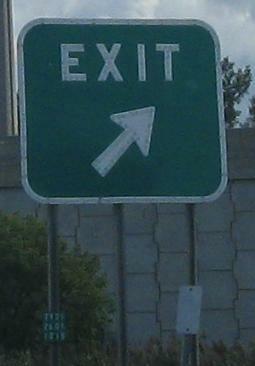 That leaves the NY 8/12 NB exit in no man's land, but it's more appropriately considered the last exit from 49. 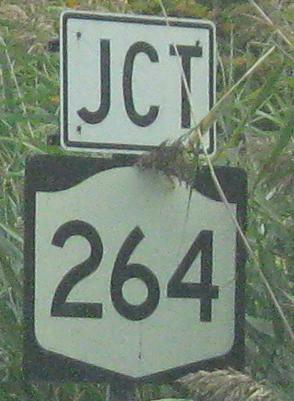 Notice that I-790 is signed in the first photo but not in the third. It really shouldn't be an Interstate highway at all, but given that it is, NY should follow Maryland's lead on I-595 and just not sign it. 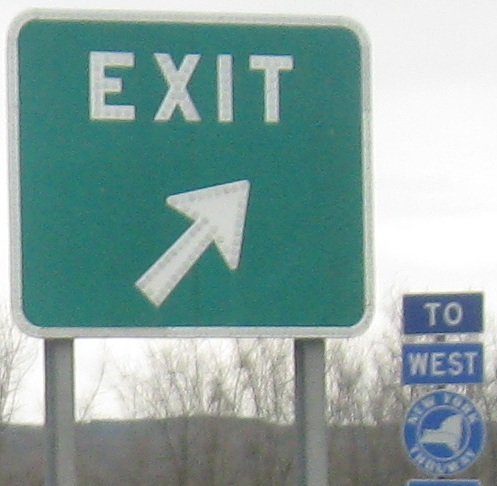 How many routes does one interchange need? 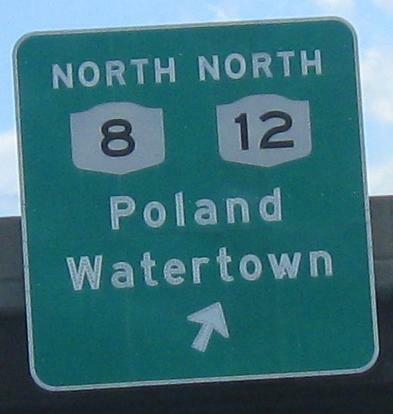 River Road WB in Utica, former NY 49 (which now straddles the Thruway/I-90 as a freeway), courtesy Doug Kerr. I'll reserve my doubts that this may in fact be EB. River Rd. 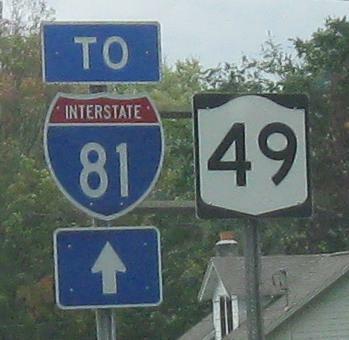 ends to the west at an interchange where NY 49 swoops in atop the old alignment. Two photos I can verify are on River Rd. WB because I was there.